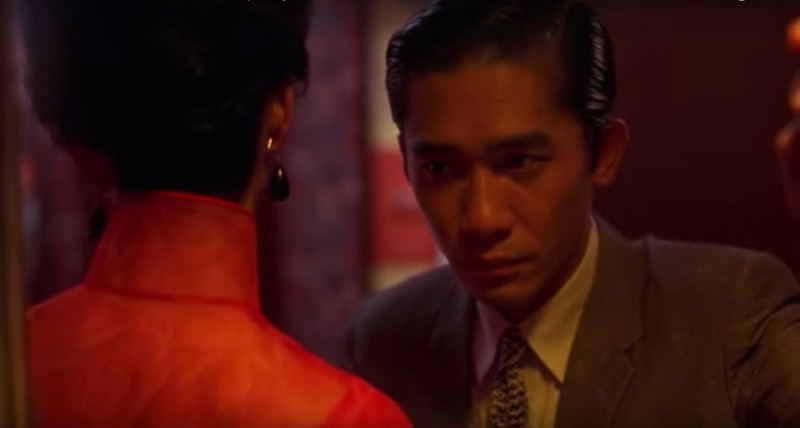 Wong Kar Wai’s masterpiece In the Mood for Love presents us with an impressive collection of qipaos which may remind some of us of a bygone era. The movie is set in 1962, based on the lives of the Shanghai diaspora of Hong Kong who fled from the terror of revolution present in mainland China at that time. It follows the peculiar relationship developed by two neighbours, Mr Chow (Tony Leung) and Mrs Chan (Maggie Cheung) who bond over the infidelity of their respective partners. The movie is beautifully shot with each scene having its own unique charm but inevitably, our eyes are drawn towards one element: Mrs Chan’s stunning qipaos. In this article, I am going to explore the role played by qipaos in storytelling and share with you some photos of my favourite scenes. The feelings that transpire the most from the main characters are melancholy and loneliness. It is somewhat ironic that despite seeing the two characters often surrounded by neighbours and co-workers, we feel as if there is a barrier separating them from the others. This feeling of isolation is beautifully captured by a scene in which Mrs Chan orders noodles at an eatery which she regularly frequents: her elegant qipao makes her seem out of place, in contrast with the grey and dim surroundings of the street eatery. Besides love, the passing of time is another central theme in the movie. Despite the apparent continuity between some scenes, Mrs Chan’s qipaos are often the only indicator that two similar scenes take place at different points in time and that their relationship evolves over several months. For example, she wears a charming light blue qipao with a daffodil pattern in one restaurant scene and a more elegant, black and white qipao with elegantly designed colour gradation in the following scene. 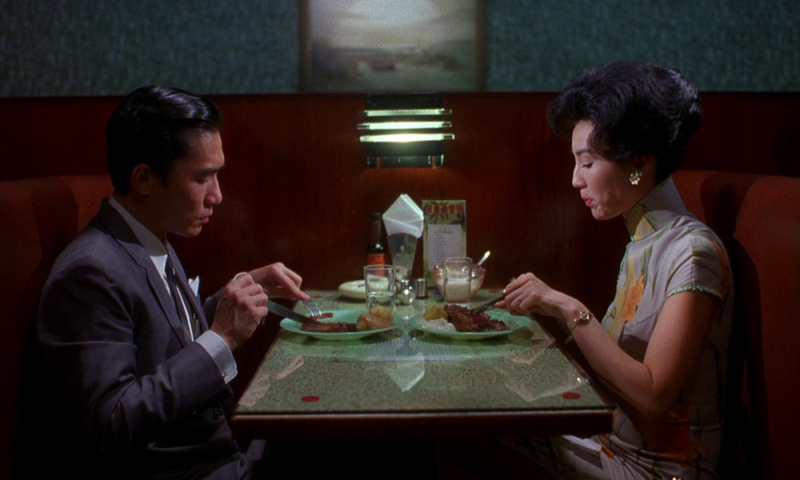 In addition to the plot, the beauty of each shot is perhaps what makes In the Mood for Love such an exceptional movie. 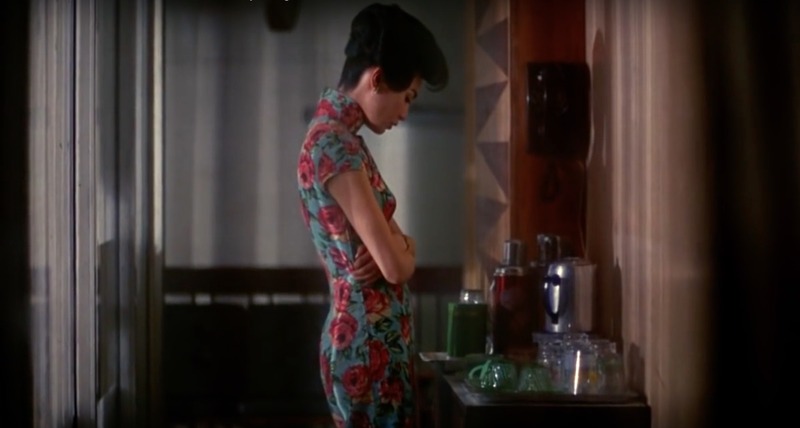 Critics have often noted the frequent use of a frame within a frame by Wong Kar Wai to add depth to his shots, and it is not uncommon to see a scene that is filmed through a window or a doorway. From the viewer’s perspective, this creates the feeling that we are examining a painting, with our sight fixated on one element: the qipao worn by Maggie Leung. 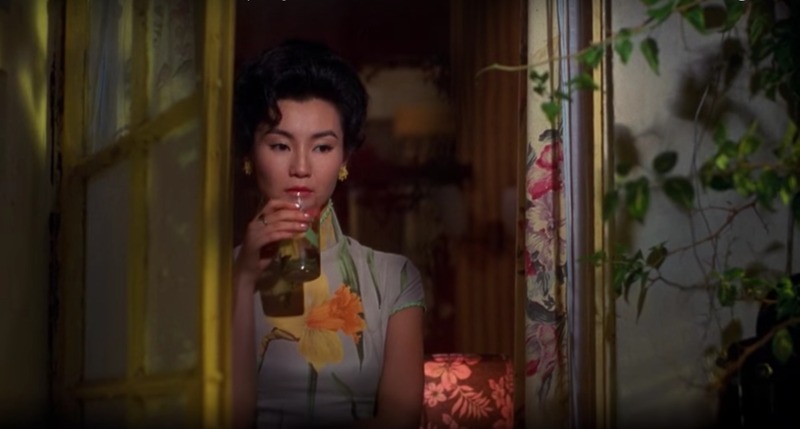 Here, one particular scene that comes to my mind is the moment when Mrs Chan thoughtfully stares towards the camera in her daffodil qipao, surrounded on both sides by flowery curtains. To me, the colours and composition of the scenes are reminiscent of an impressionist painting. 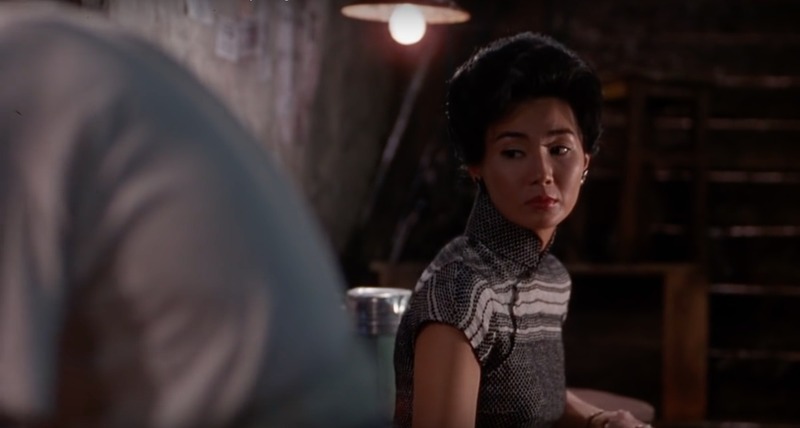 The aesthetics of the movie might explain why so many people watched In the Mood for Love multiple times, as there are always more details to discover with each viewing. Also, if you felt inspired by Maggie Leung’s elegant style, you may want to check out our store at InteractChina.com! Here, we offer a large collection of handmade high-quality qipaos that will bring a touch of oriental elegance to your wardrobe.